Wearable tech may be taking a back seat to the more exciting, revelatory news from things like virtual reality, augmented reality, and oh-my-God-Pokemon-Go, but it’s no less exciting a time to be the owner of an Apple Watch. When it released, the wearable device sold like hotcakes and received widespread critical praise from users and tech journalists. Therefore, it’s about time for Appamatix to get on board and provide you with a list of the 10 best apps for your Apple Watch that we feel you should take for a spin. Some are for productivity, some are for lifestyle improvements, and others are just for fun. All 10, however, best represent what the Apple Watch is capable of, and will make you pleased to own one. The Apple Watch is one of the most customizable pieces of wearable tech that you’ll find on the market, and even though it wasn’t at the head of the pack in terms of release date, it remains one of the most fruitful devices that you can strap onto your wrist. (I make no apologies for puns.) Though there are still some limitations inherent in the design, which we’ll get to later, it’s overall an extremely competent piece of technology that can greatly help you to improve your daily routines through its myriad features. You’ll find that there are hundreds of apps that have Apple Watch functionality, but by our estimation, the best of these apps are the ones that enhance the already excellent features of the Apple Watch, taking advantage of what the device already does a stellar job of. I’m giving Vine the top billing on this list, purely because of how well the media app suits itself to viewing on the Apple Watch. Most media-rich apps and social media platforms simply don’t find enough screen real estate to be enjoyed on the Apple Watch, but the short, tightly-constructed clips that make up Vine videos are perfectly suited to the device. The bursty, bite-sized nature of the media that makes Vine great means that you won’t have to spend a ton of time staring at the tiny screen of your Apple Watch to enjoy it. A brief glance is all you need, and brief glances are what Vine is built upon! If you’re packing a smartphone, you have everything you need to be an amateur photographer. Does it mean that you’re a good photographer? Hell, no–that’s going to take some significant amount of practice, but if you have an Apple Watch, then you have one more tool that will help you to become a good photographer. The Camera Remote app lets you use your Apple Watch as both a remote shutter and viewfinder, which means that you can aim and arrange your phone’s camera in all sorts of interesting and creative ways without losing your ability to take the shot. This app truly showcases the usefulness of being tethered to your phone, as well as the exceptional quality of the watch’s small screen. Quite a few messaging apps have Apple Watch functionality, but none of them nails it quite so well as Facebook Messenger. As someone that enjoys Messenger both more than the baked in iOS Messages app and WhatsApp, imagine my joy when Facebook finally got it onto the Watch OS. From within this minuscule app, you can use the Apple Watch’s microphone to dictate responses to the message, let people know your location with only a few taps, or use the lightning quick emoji responses that let you reply with symbols rather than words when time is short. 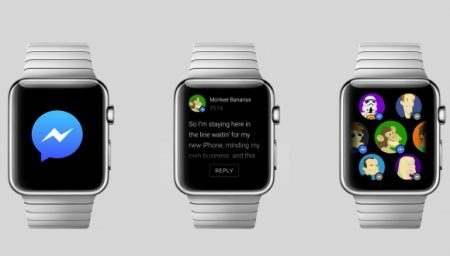 The app looks great on Apple Watch, and it’s a true showcase of what the device can do for your messaging life when paired with a phone. Reminders Nano may not have a place on this list once we get our hands on the new Watch OS this September, but for now, it’s one of the most useful variants of this genre of app that you can find for your Apple Watch. The equivalent iPhone app is where most of the heavy duty work will take place, but this is the way to create a to-do list for your day-to-day activities. From paying your bills on time to setting exercise routines to remembering to pick the kids up after their events, Reminders Nano will let you bend your device to your lifestyle. The Apple Watch portion of the app allows you to check entries off your list, make new entries, and interface with the lists that you create on your iPhone. If you’ve used group chats in Slack or other apps, you know just how cumbersome it can be to scroll through an entire feed while you try to suss out useful information. This is true even on a large desktop computer screen, let alone on a device as small as your phone. Thankfully, Slack for the Apple Watch isn’t concerned with every little thing being said in your Slack chats. It shows you direct mentions and messages, alerting you to those crucial moments when your team’s project requires your attention. Continuing on the trend of stellar productivity options, it’s hard to ignore the powerhouse that is Evernote. It was already an amazing service before it made its way onto the Apple Watch, but that added accessibility only makes it better. Suddenly, that lovely little piece of tech strapped to your wrist is a brand new way to engage with all of your notes and records. The microphone on Apple Watch allows you to dictate and record messages to yourself that just can’t wait, and if you desperately need to find information within your Evernote records, you can use the voice function to search everything you have. When paired with the Evernote app for iPhone, you’ll find that there isn’t much competition out there that can rise to Evernote’s accessibility. This one was a tough choice, primarily because I wish that the Apple Watch had an even better way of monitoring your sleep. That said, it might simply be the case that the device will never match up to other tech that’s been designed from the ground up to do so. Sleep++ is a fair alternative to using an entirely different device, though. After you tell the app that you’re going to sleep, it will record your activity through the entire night, determining your deep and lighter sleep based upon things like heart rate and overall activity. A single word of warning: you’ll want to charge your Apple Watch when you wake up since this app, in particular, can eat up your battery while it’s tracking your sleep! No matter where it comes from, stress is hard to escape during the daily grind. Even if you work from home, that work can eventually get the better of you. If it’s not your work, then it’s family. If it’s not family, then the cat puked on the rug again. See what I mean? If the stress is piling up and you feel a meltdown coming, the HeadSpace app can grant you exactly what its namesake suggests–room to think and breathe! You can unlock more lessons within the app through purchases, but the base version gives you a two-minute breathing lesson that, when followed, is proven to relax your thoughts and keep your cool. One of the Apple Watch’s most prominent benefits is its ability to help you to remain active throughout the day. Between tracking your movements, the calories you’ve burned, and the amount of time you spent sitting or standing, the device is meant to be your companion in all of your daily activities. The MyFitnessPal app for Apple Watch only compounds that usefulness. Using the iPhone app, you can set a target weight loss goal based on various personal factors, and then use the Apple Watch to track them. Record every meal without needing to navigate on your phone, and watch as your Apple Watch balances all of your exercises against the number of calories that you’re consuming throughout the day. It’s the ultimate accountability buddy, and it interfaces perfectly with all of the iOS health functions. Let’s take a moment to appreciate just how quickly Uber has risen to prominence in our culture and the world at large. Can you remember the day and age when taxi services were primarily restricted to designated cabs and cab drivers in metropolitan areas? I find it difficult to recall, and Uber’s rising popularity is why the app deserves a place on your Apple Watch. It seems to have been designed for people on the go, since the Uber interface on Apple Watch is fast, intuitive, and meant to allow you to hail the nearest Uber driver for your needs as quickly as possible. You’ll see the driver’s ETA as well as a picture of the car that they’re driving, which is important when you’re intending to transport multiple people! The next time that you’re late to work, late to school, or late to the airport, try turning to Uber on the Apple Watch for a fast solution. There you have it! 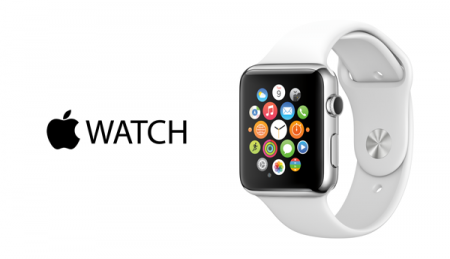 Appamatix’s list of the top 10 apps that you can download on your Apple Watch, today. The landscape might change a fair bit when the new Watch OS lands this September, but until then, these are the best of the best–the essentials that your Apple Watch deserves!